”Try to do to others , as you would have them do to you, and do not be discouraged if they fail sometimes”. – Charles Dickens. 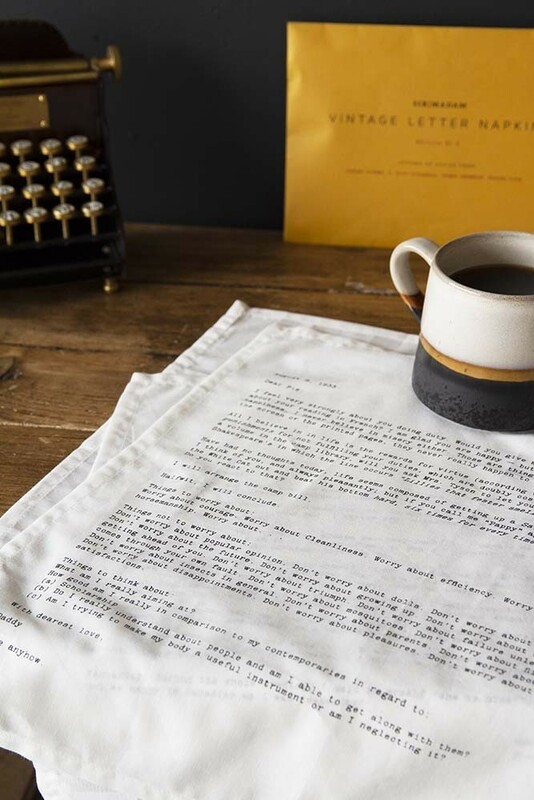 Containing four classic letters of advise from the world’s most famous authors, novelists and a founding father the Set of 4 Vintage Letter Napkins are a lovely gift idea for literature and history lovers! 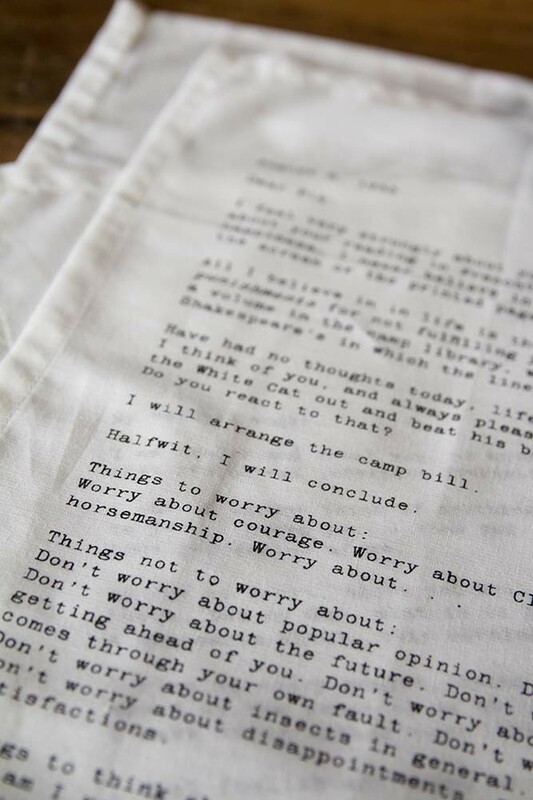 Packaged in a lovely vintage style envelope that is super easy to wrap, on each napkin is printed a letter of advice from Charles Dickens , F Scott Fitzgerald, Thomas Jefferson and Rudyard Kipling’s Children. 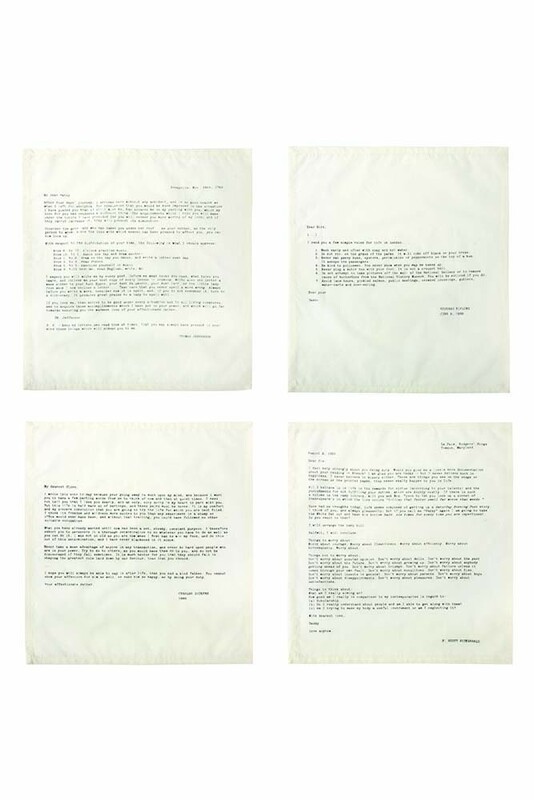 A really lovely and sentimental set of napkins, why not frame each letter of advise and hang them on your walls in your home?! Make sure your table setting skills are on top form by following our easy step by step guide and learn how to fold napkins in a creative way with three unique table setting ideas to follow. See the guide HERE.